Now on to the 2nd part of the review. Going back over the kit in a nutshell. 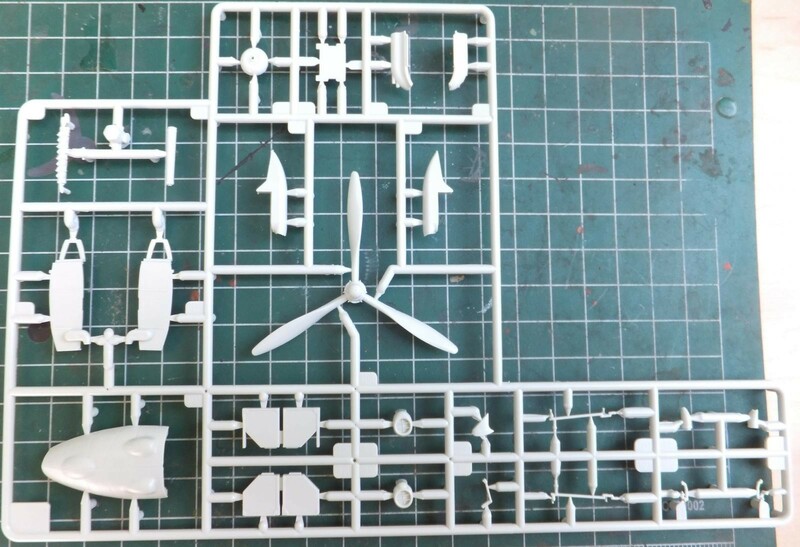 This new tool Revell Beaufighter brings us a kit with a few more detail bits than what the Tamiya kit does not have an option for. 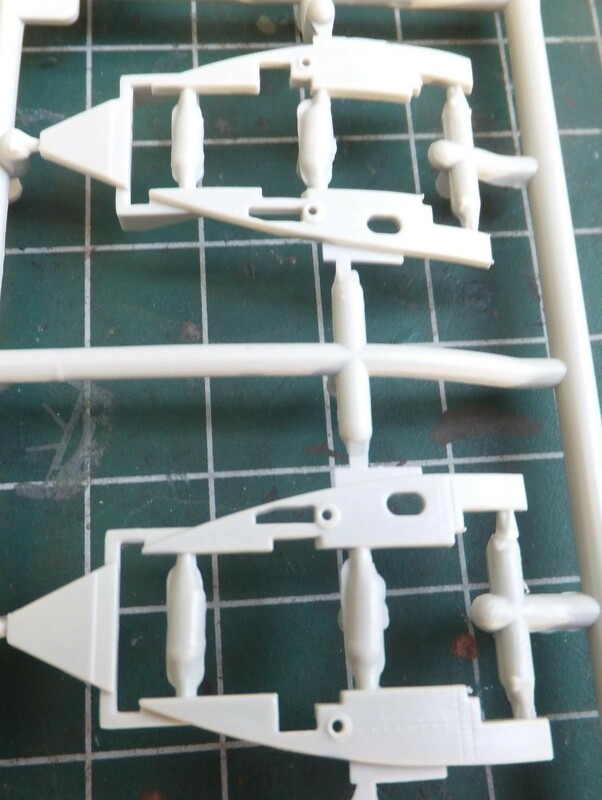 2 different V tails, the ability to drop the flaps, pose the ailerons, rudder and horizontal stabs. More detailed interior. 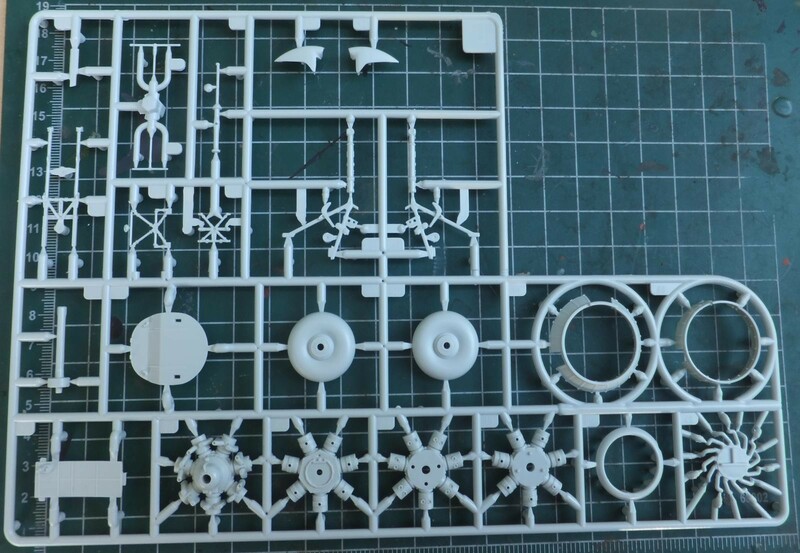 But will it assemble like the Tam kit which is a joy to build despite it’s shortcomings which are not really detrimental to the kit. We’ll see. A little bit more on the interior. The seats are basic but do have the seat belts molded into them. Not very convincing though as the details are quite soft. The left and right framework in the cockpit, these are the parts the side consoles fit on and are separate pieces. The kit supplies 3 different noses, the thimble radar nose, a nose with a strike camera and a plain short nose. 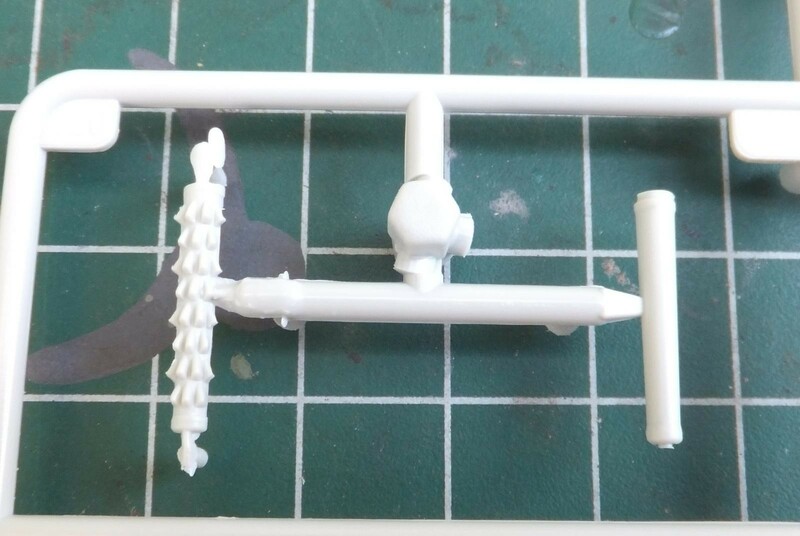 The separate sprue that contains the thimble nose also has the rocket mounting plates for the rocket launcher rails to be mounted on, but the kit does not supply the launchers or rockets, just a torpedo. 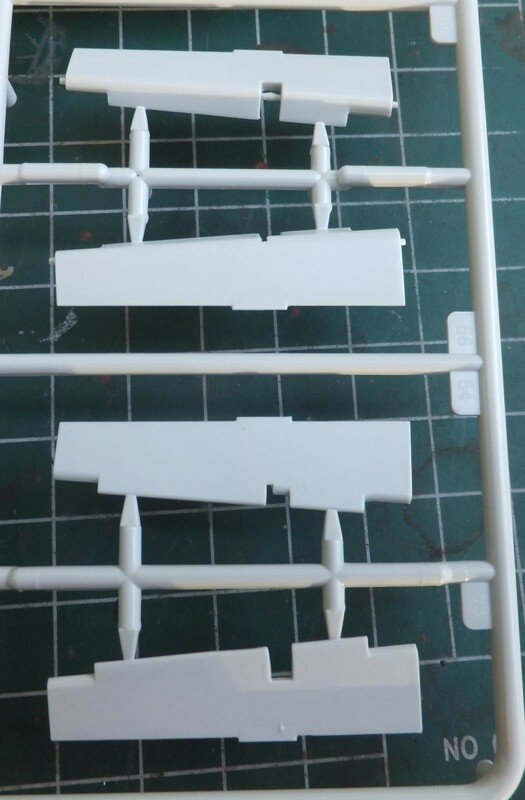 The next sprue will contain the main interior floor, the flaps, multi piece ailerons,wheel well bulkheads, the wing flap inserts if you choose to display the flaps down. And a nice touch on the tail wheel bay attached to the interior floor. 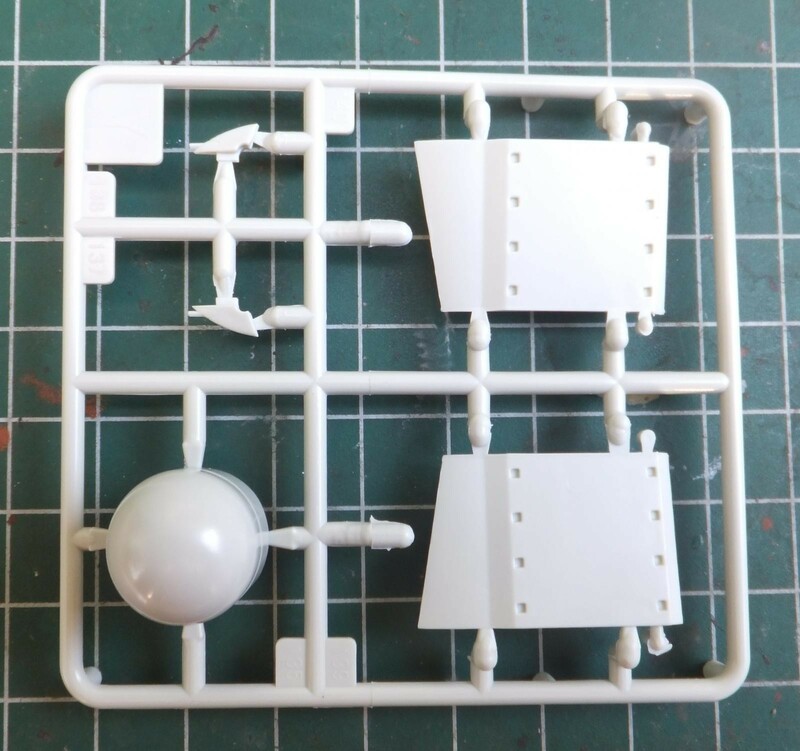 This sprue contains the engine components, here again Revell does an excellent job on the details involved with the Hercules engine. 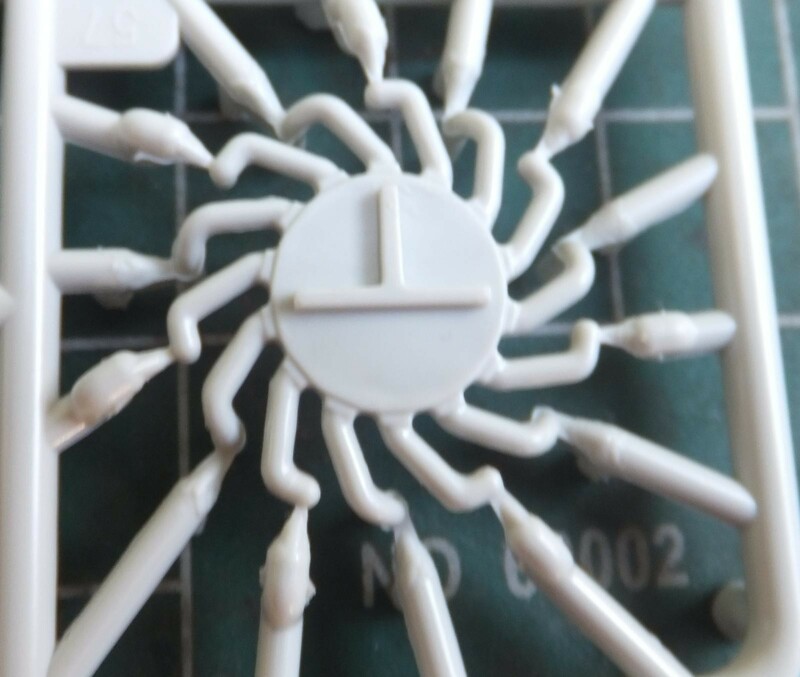 Though it may not be the best approach, but they do add a couple of detail bits that Tamiya does does not. Front and rear engine cylinder head/crankcase. 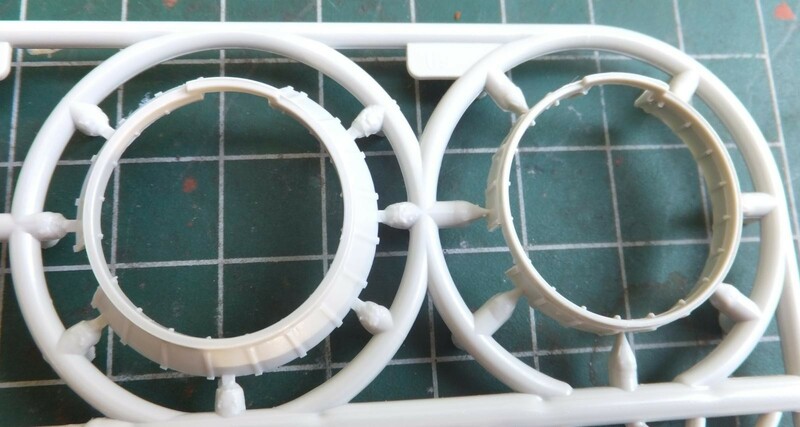 Open and or closed cowl rings. Exhaust pipes behind the engine that will crossover into the porcupine outlet pipes. 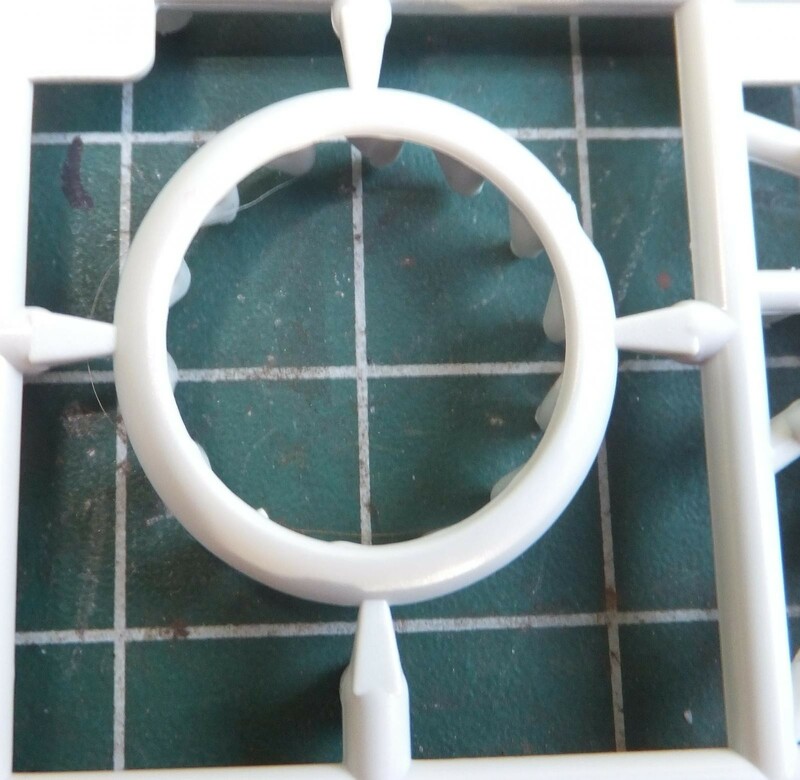 And the collector ring which mounts on the outer front edge of the engine cowling. The cowling is a multi part affair. 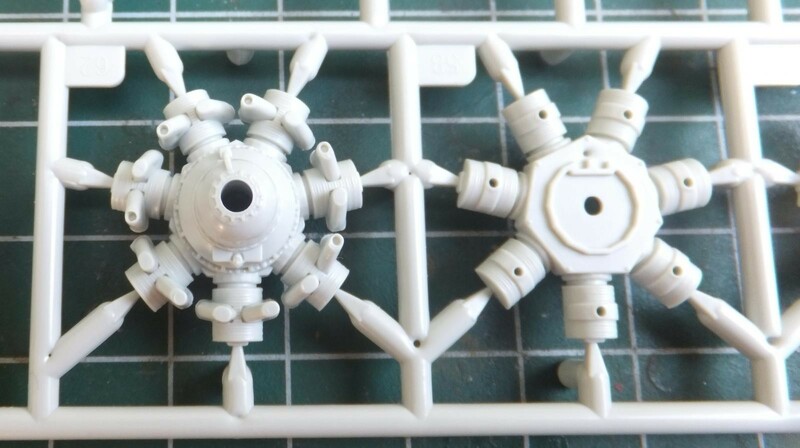 This I can see that it may become an issue if not careful assembling the engine correctly. 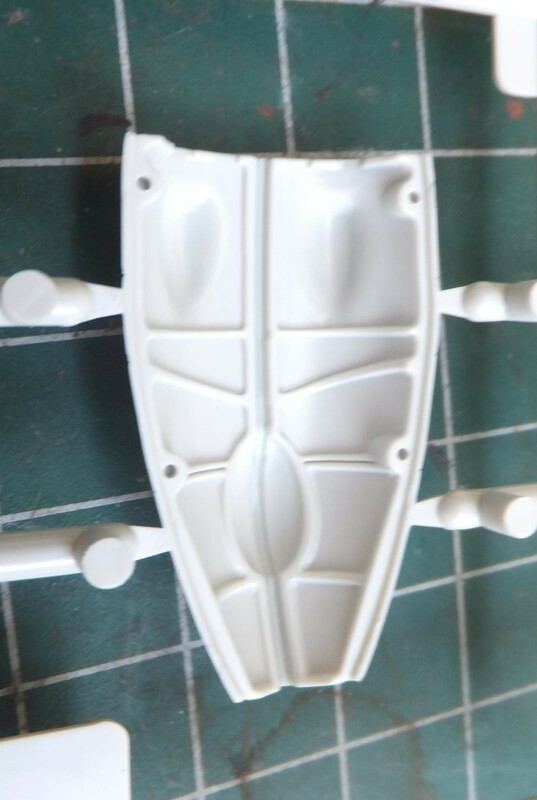 This is where Tamiya is better in just supplying a one piece cowling, though it does help if you wish to display the engine exposed. 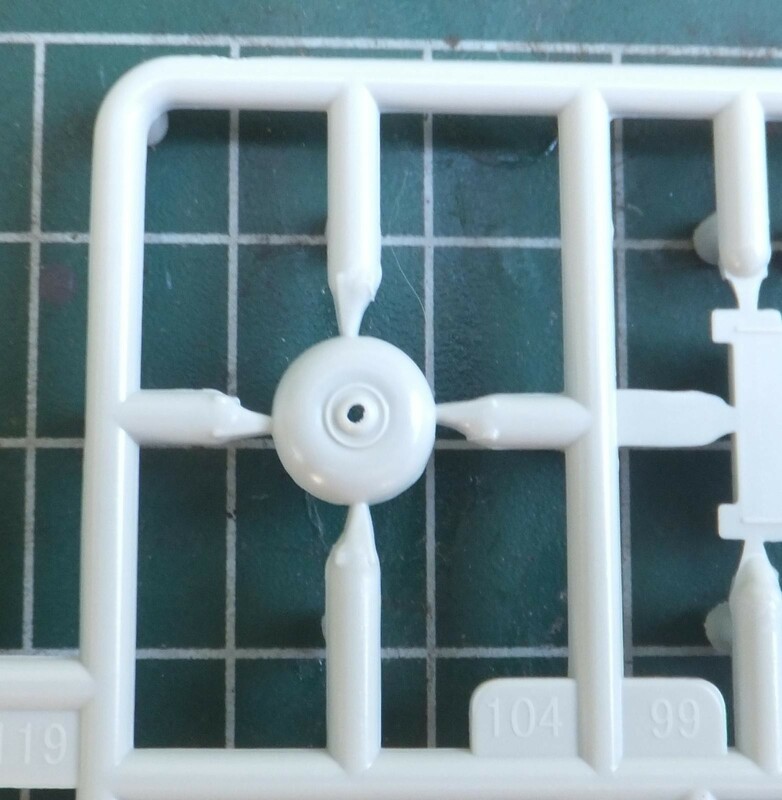 This sprue also contains the landing gear components. 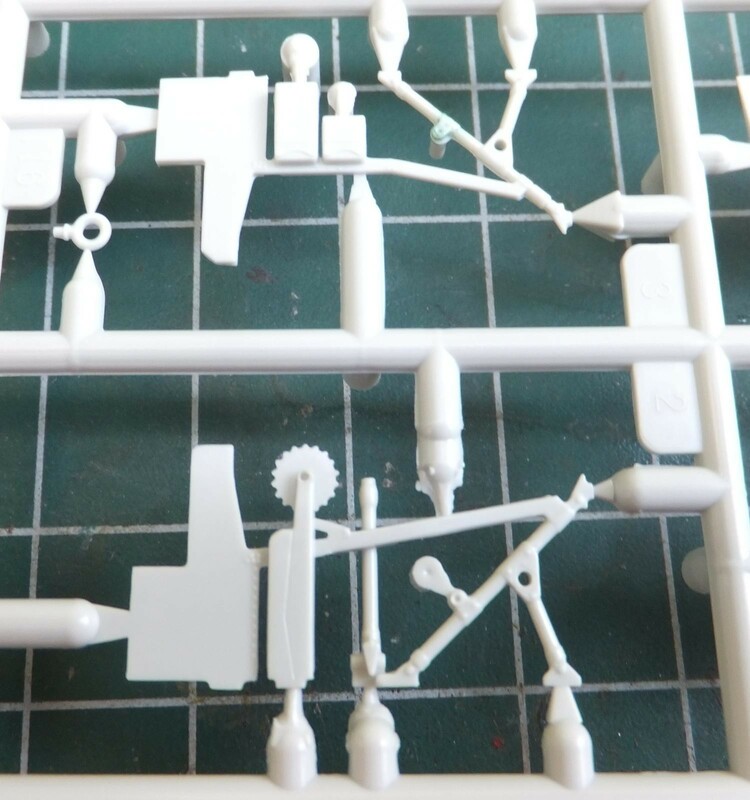 Though quite detailed, it doesn’t seem as chunky as the Tam kit, fine detail, but if you ever have built the Tamiya kit, the assembly process on the Tam kit makes this complicated gear system easy to assemble and able to temporarily install into the gear bays. 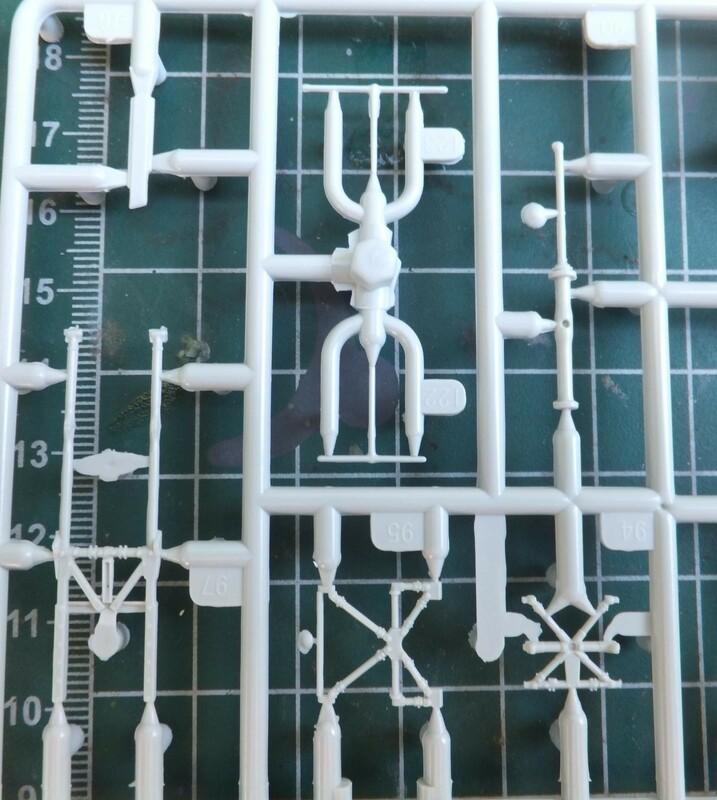 Don’t know if that will be possible with this kit. The tire assy’s show a smooth tread and again look a bit narrow too me compared to the Tam kit. May go resin wheels here. 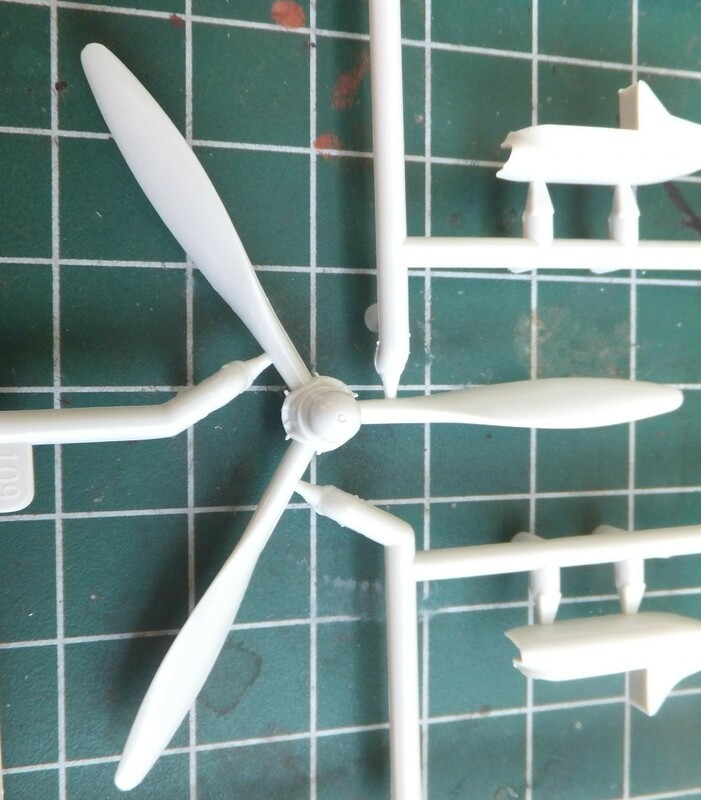 The final sprue contains the propeller, main gear doors which just like the Revell Mosquito is moulded as one piece and would need to be cut to display when parked. Nice internal detail. The prop spinner and hub plate the porcupine exhaust pipes and tail wheel. 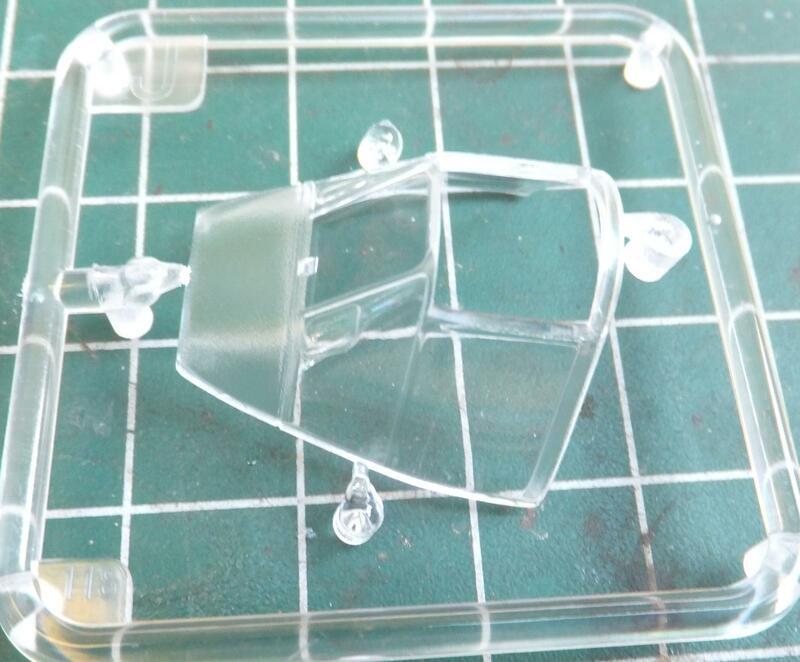 Finally the clear sprue contains the canopy with an option to display the hatch open just like the Tam kit, but a nifty touch which is unique to the TF.X is the navigator’s rear bubble window can be displayed open. Very nice. 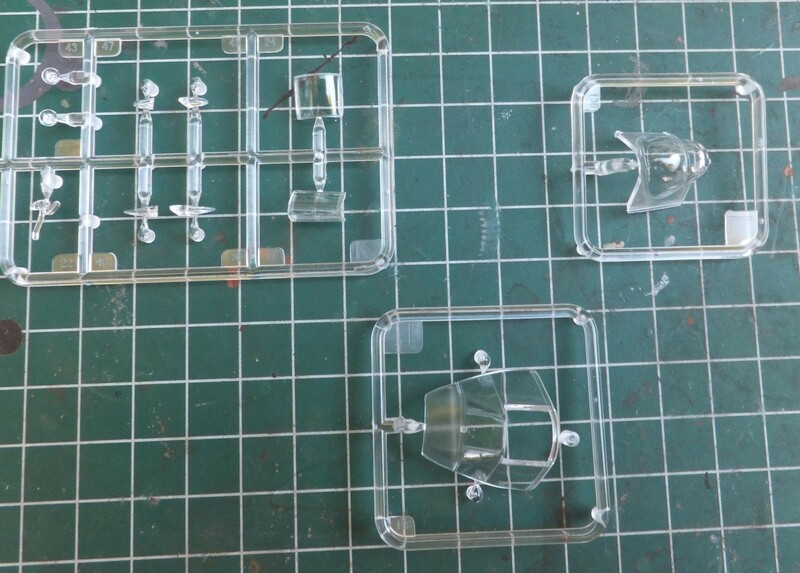 Also that landing light lens and ID marker lamps are also on the sprue. 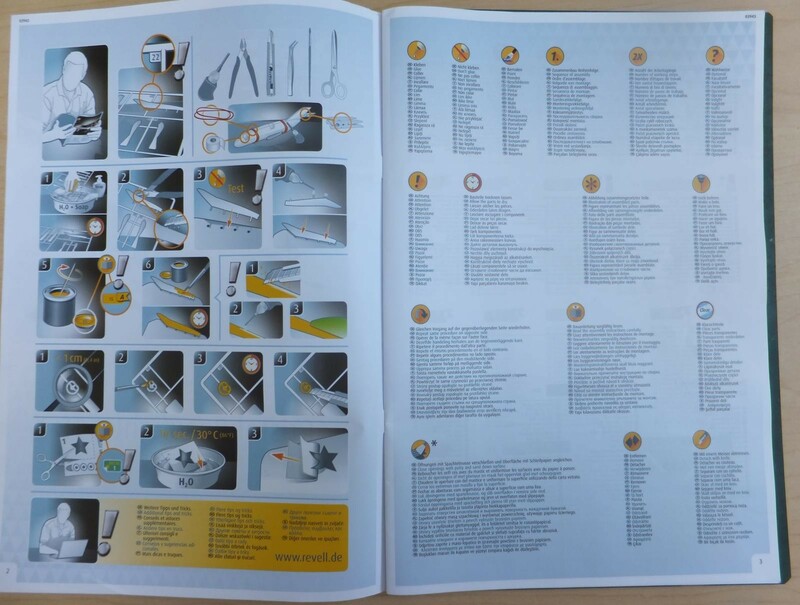 Now about the instruction booklet, a much better and improved instructions to follow. Though not perfect, but not as busy, not as confusing more precise part location on the diagrams. Flipping it open is the standard multi lingual rules of engagement on the kit. Then the color callouts base on the Revell line of paints. Again multi lingual, experience builders will most likely figure out the proper colors to use in your favorite paints. 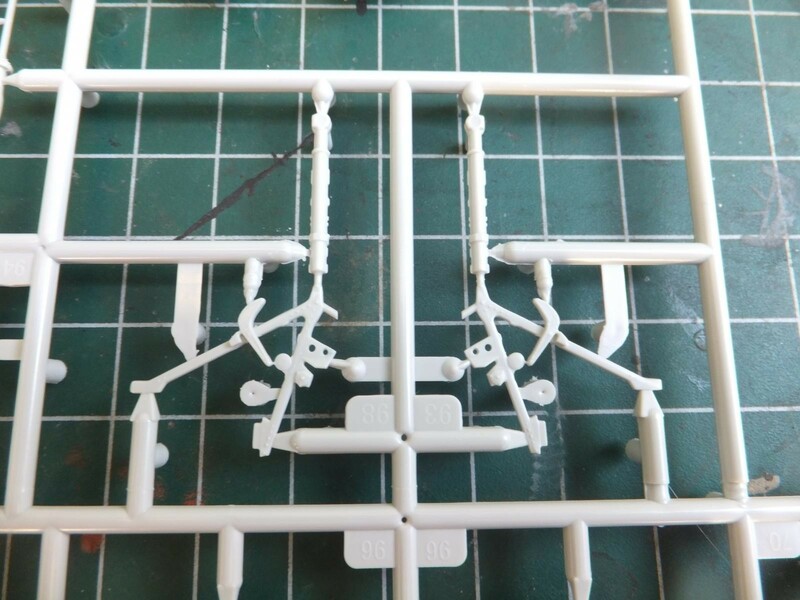 Next page is the sprue parts map. Still a bit all over the place but again a bit easier to follow with a much easier color coded pages. 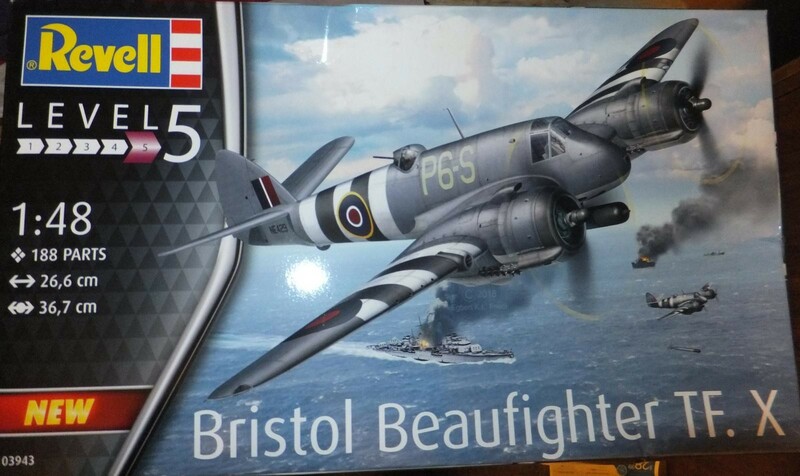 But thats it, here it is the new Revell Beaufighter, is it the definitive Beau in any scale, well maybe, but it depends on buildability. 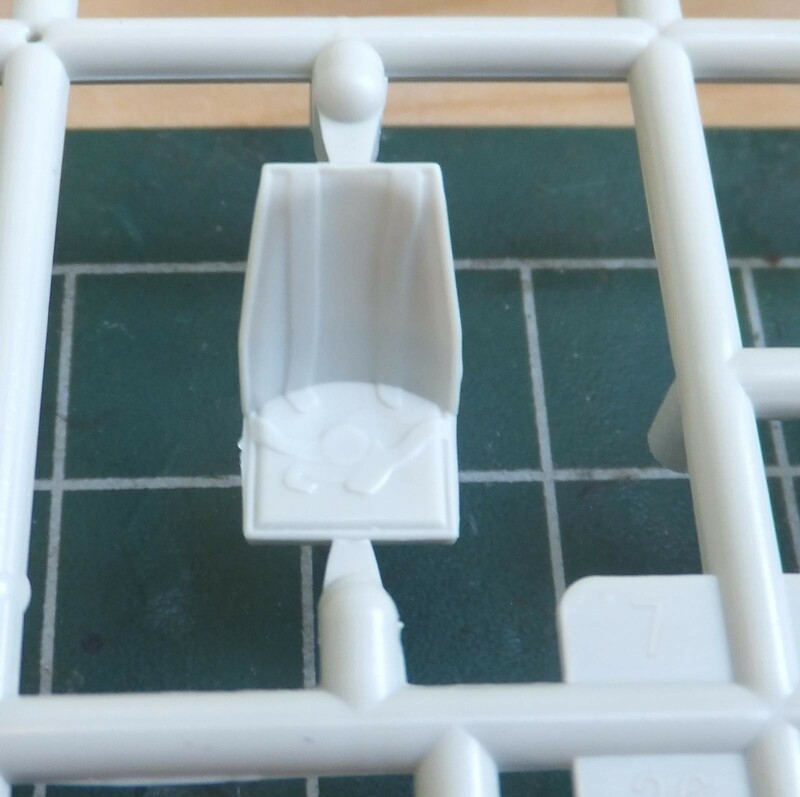 Here is a link from Brett Green with a video review of the kit. And a built up review with an honest point of view that kits does build up nicely when you just take your time. 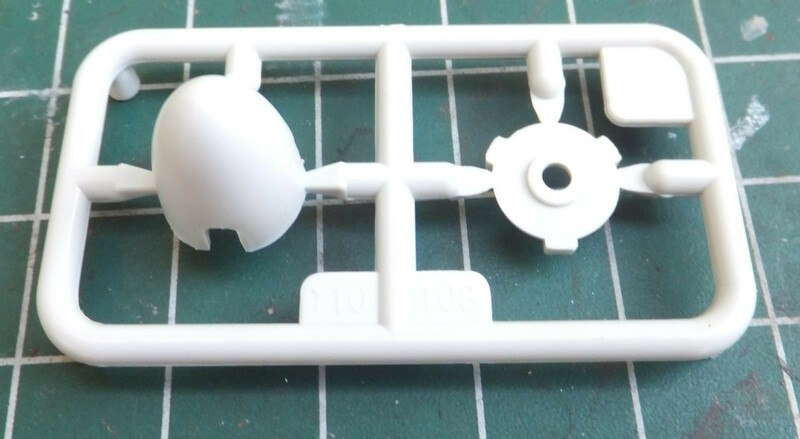 Just know that this is a Revell kit, as most builders know it is not Tamiya. 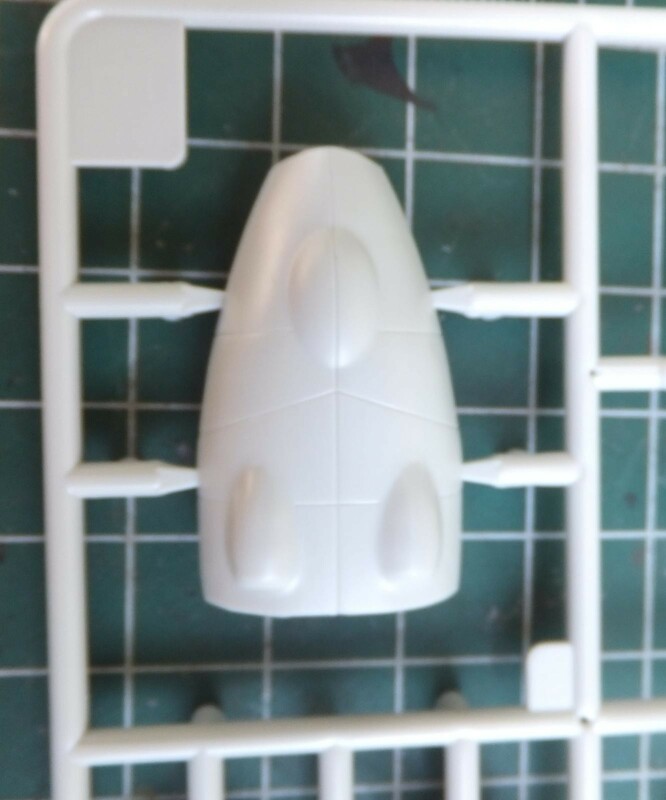 It most likely will have some build issues as noted with the multi piece cowling. 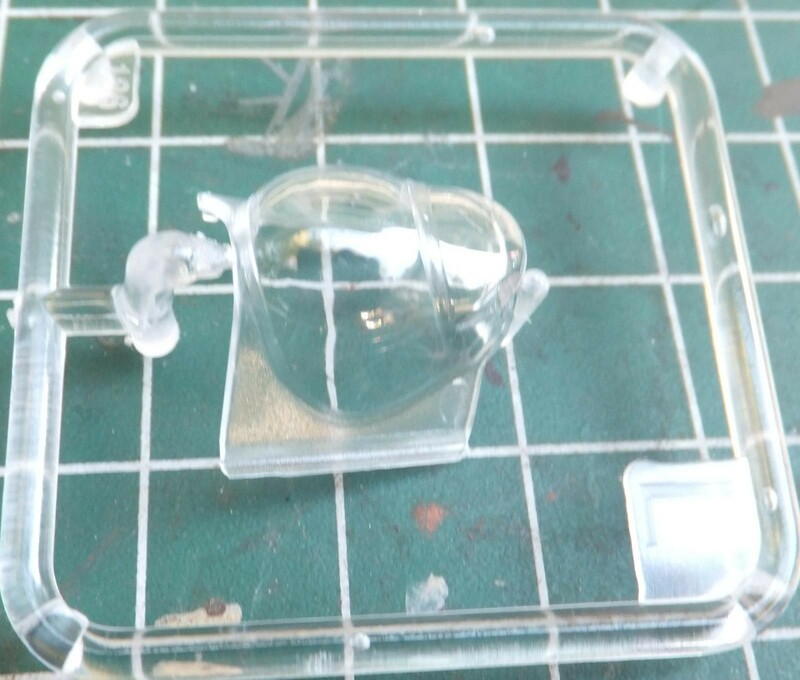 The decision is up to the modeler not me or any other reviewer. The price is right and competitive though not much less than the Tam offering. 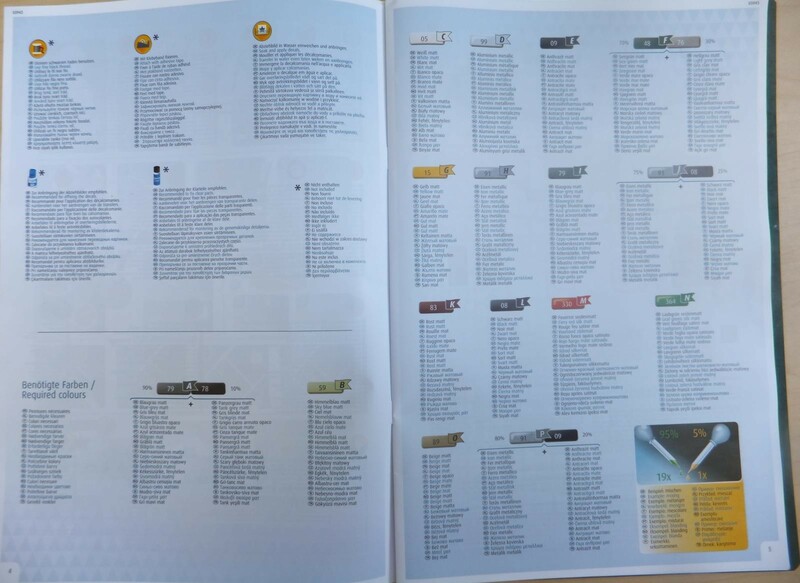 It does have a few more added bits than what Tamiya will give you, but remember more parts to assemble. 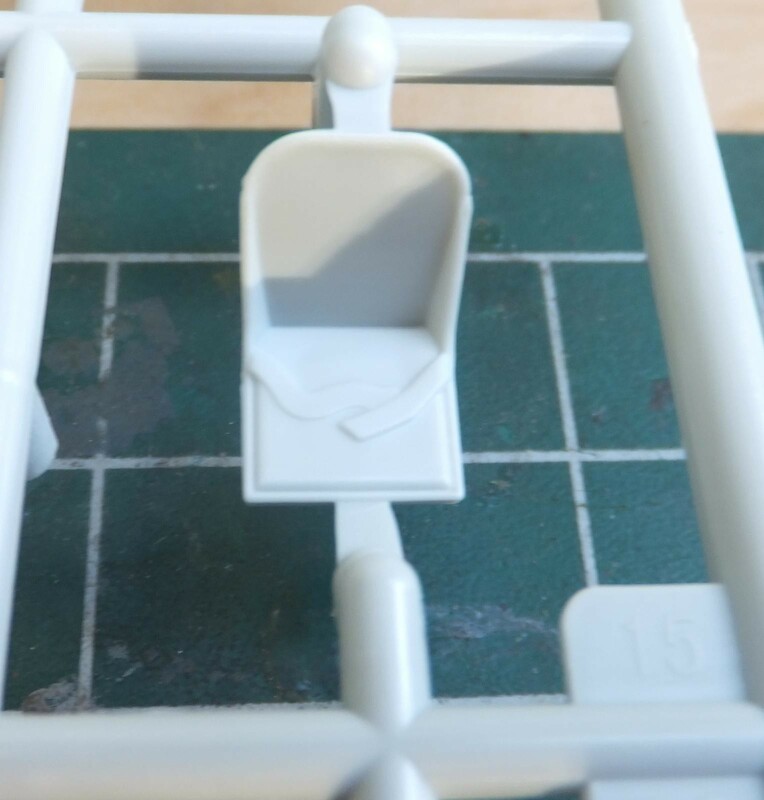 The approach from Revell is much different in how Tamiya engineers their kits. It is the challenge of what your skill set is and what you believe in. 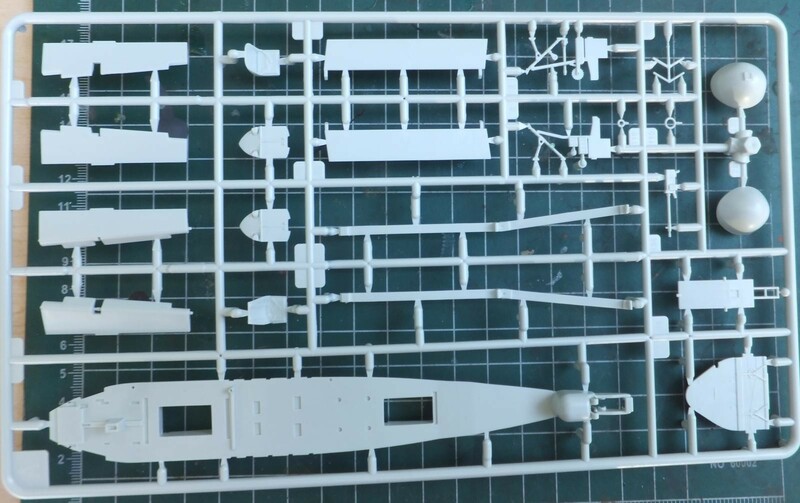 But i do see a couple of more options from Revell that appeared as extra parts on the sprue, so hopefully a Mk.1 is in the works and maybe one of these rare versions. I did not know that there was a Merlin powered Beaufigher, yet about 470 were built when the Hercules engines were not keeping up with production. Cool looking isn’t it? I like your style of writing Chuck, and the video is a nice touch !!! I just watched the entire video and it’s very good too. 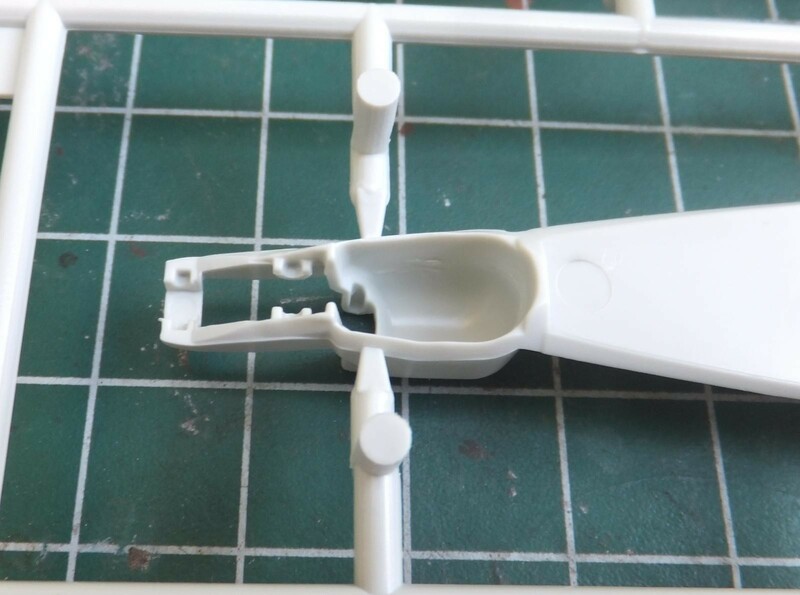 I also like how the new Revell kit has the option to position the control surfaces since they are a separate part. The engines look to be well represented too. Having choices on how you can build this one is fantastic. I especially like how they offer the three different nose cones and two different horizontal stabilizers. That’s a very cool option !!! This one is going to be a great looking plane if a person takes time during construction and checks the fit along the way. I’m sure that it may not build up as quickly as the Tamiya version but then again it’s not a Tamiya kit. The seats look a little weak, and I’m sure that the aftermarket folks will offer a replacement soon. But the seats are not going to be a deal breaker for me. I absolutely love the Beaufighter, and this review was very helpful. Thanks, Chuck! I have been looking at this kit Chuck so many thanks for the review. Like you I would particularly like a Mk1, but I suspect its just a matter of time! 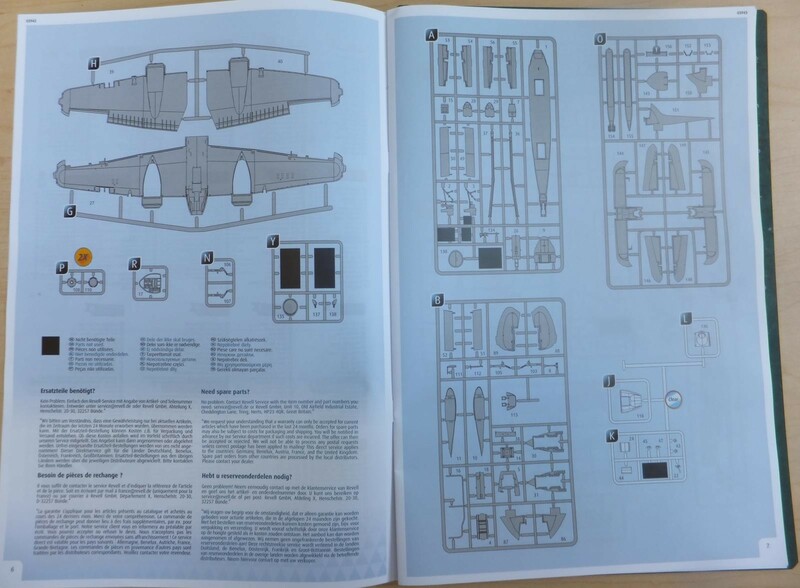 Unless I dig the old 1/32 scale Revell Beaufighter out of the stash! Thanks David, the price is right though not much less than Tamiya, Looking at it I can look forward in building it. Most likely put on the build list for the upcoming year. Merry Christmas!! Very nice review Chuck! I agree with Louis, I like the engine detail with the separation of the banks. And thank you RVG for a Separate Tail Wheel! Thanks Robert, yeah the engines do look good and something someone can take add all kinds of detail bits on them if you choose to leave the cowling open exposing them. So there a few different advantages over an excellent Tamiya kit. But remember that you will take it and build it and have fun.